A modern epic of coming of age in a great city, a brilliant tableau of life among the newcomers who have changed the face of Istanbul over the past fifty years. Since his boyhood in a poor village in Central Anatolia, Mevlut Karata has fantasized about what his life would become. Not getting as far in school as he'd hoped, at the age of twelve he comes to Istanbul - "the center of the world" - and is immediately enthralled by both the old city that is disappearing and the new one that is fast being built. He follows his father's trade, selling boza (a traditional mildly alcoholic Turkish drink) on the street, and hoping to become rich, like other villagers who have settled the desolate hills outside the booming metropolis. But luck never seems to be on Mevlut's side. As he watches his relations settle down and make their fortunes, he spends three years writing love letters to a girl he saw just once at a wedding, only to elope by mistake with her sister. And though he grows to cherish his wife and the family they have, he stumbles toward middle age in a series of jobs leading nowhere. His sense of missing something leads him sometimes to the politics of his friends and intermittently to the teachings of a charismatic religious guide. But every evening, without fail, Mevlut still wanders the streets of Istanbul, selling boza and wondering at the "strangeness" in his mind, the sensation that makes him feel different from everyone else, until fortune conspires once more to let him understand at last what it is he has always yearned for. Told from different perspectives by a host of beguiling characters, A Strangeness in My Mind is a modern epic of coming of age in a great city, a brilliant tableau of life among the newcomers who have changed the face of Istanbul over the past fifty years. Here is a mesmerizing story of human longing, sure to take its place among Pamuk's finest achievements. A Strangeness In My Mind brilliantly illuminates the difference between the happiness and contentment — for between these states of mind lies an entirely different mindset and attitude toward life that can make or break a man. And Mevlut, just like his beloved Istanbul, is nothing if not resilient — he knows how to take change squarely in the jaw and yet retain his essential indomitable spirit. (Reviewed by Poornima Apte). In the midst of the massive sprawl that is Istanbul, at the juncture of West and East, Pamuk uses a bickering crowd of family and friends to tell the story of a factious, ever-changing culture and its many points of discord. It’s very funny, while also allowing into Mevlut’s tale the colorful voices and contending perspectives of the world around him . . . For Pamuk the vision of life as a complex web of knowable things provides a terrifically interesting way to write a book. One of Pamuk’s most enjoyable novels and an ideal place to begin for readers who want to get to know him . . . A love letter to modern Turkey. Pamuk is such a skilled writer that he renders the most esoteric, seemingly banal topics fascinating . . . Strangeness is light and funny. Pamuk's perspective is generous. He takes a long view of history . . . a remarkable feat. A textured and rewarding narrative . . . Some of the most memorable chapters are interior monologues from women who, every day, must negotiate defiance and deferral to their men and their in-laws . . . [Pamuk] chooses multiple perspectives over moral judgment, which allows him to focus on the inner lives of his characters as they shape the city that, in turn, shapes them. Beautifully done, suffused with a nostalgic light . . . A study of urban modernisation and a lament for a time before the single-mindedness of reformers. Magnificent . . . [a] sprawling story that Pamuk tells, and Ekin Oklap translates, with panache . . . At the same time as posing philosophical questions about the importance of intentions over outcomes, Pamuk celebrates marriage, parenthood and even quarrelsome extended family . . . [He] is becoming that rare author who writes his best books after winning the Nobel Prize for Literature. Above all a love letter to the city in all its faded, messy, dusty glory . . . a vast collection of characters, events, houses, food, objects that, the reader realises at the end of 600 pages, are summed up in the name Istanbul. Warm and gently engrossing . . . the story of modern Istanbul, of how a decaying, mixed, cosmopolitan city has been massively expanded and transformed by poor migrants from Anatolia. It has a political dimension . . . but at its heart, this is a novel about work, love and family. Starred Review. This is a thoroughly immersive journey through the arteries of Pamuk's culturally rich yet politically volatile and class- and gender-divided homeland. Starred Review. As his meditative hero walks the streets for five decades, balancing his wooden yoke on his shoulders, Pamuk, a deeply compassionate and poetic writer, illuminates 'dreadful and dazzling' Istanbul's violent upheavals and ceaseless metamorphosis, women's struggles for freedom, and the strange vicissitudes of love. Starred Review. Although depicting a faraway land, the novel's central concerns are human nature, communication, and interpersonal relationships, and this great writer explores these themes with a universal warmth, wit, and intelligence. Starred Review. Rich, complex, and pulsing with urban life: one of this gifted writer's best. One of the many historical events that are featured glancingly in A Strangeness in My Mind is the 1974 Turkish invasion of Cyprus. For a long time Cyprus was a part of the Ottoman Empire, which arguably explains why Turkey considered it its own, even after the Ottoman Empire handed over governance of the island to Great Britain in 1878 in a secret agreement that exchanged Cyprus for Britain's support of the Ottoman's cause in settling boundary issues in the Balkans. In 1914 Britain annexed Cyprus and, following the dissolution of the Ottoman Empire, Cyprus became a Crown Colony in 1925. 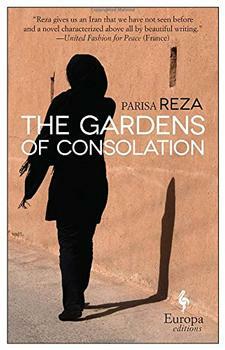 Against the backdrop of a rapidly changing Iran, Parisa Reza has written a powerful love story filled with scenes of hope and heartbreak. Winner of the 2015 Man Booker Prize. Brilliantly inventive and stunningly ambitious, this novel is a revealing modern epic spanning Kingston in the '70s, the crack wars in '80s New York, and a radically altered Jamaica in the '90s.